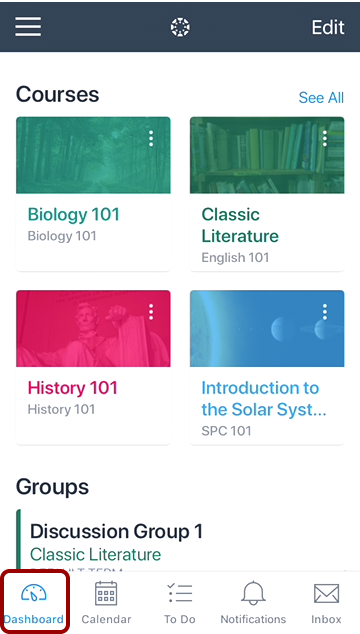 How do I view Courses and Groups in the Student app on my iOS device? You can view all your active courses and groups in the Canvas Student app. 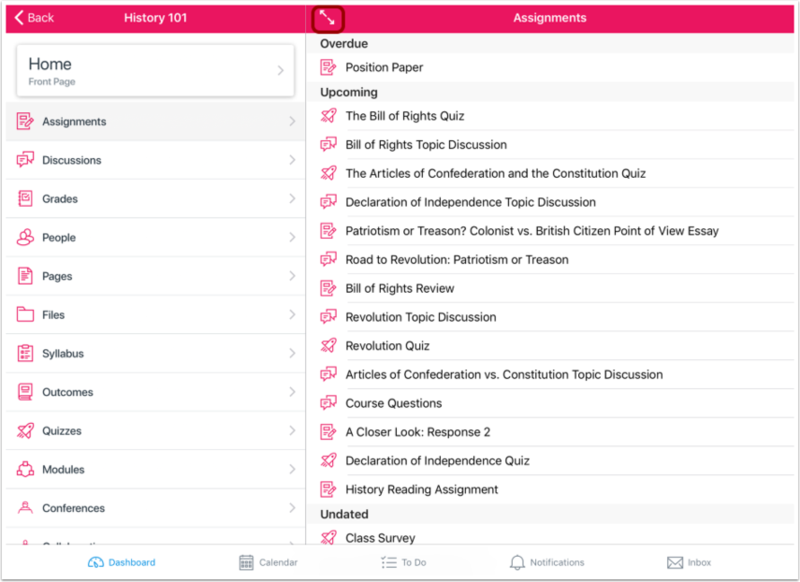 Learn how to view Grades in the Dashboard. 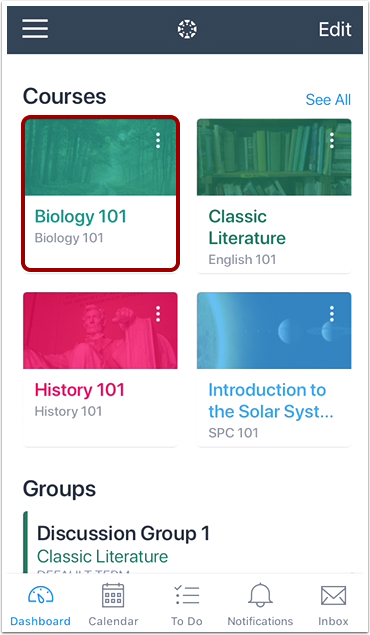 Unless otherwise changed as the landing page, the app defaults to the Dashboard and displays your groups and favorite courses. To favorite a course, tap the Edit link. Tap the star next to the course you want to favorite. Note: Changes to your favorite courses will also apply to the browser version of Canvas. You can change the nickname and color associated with your courses. 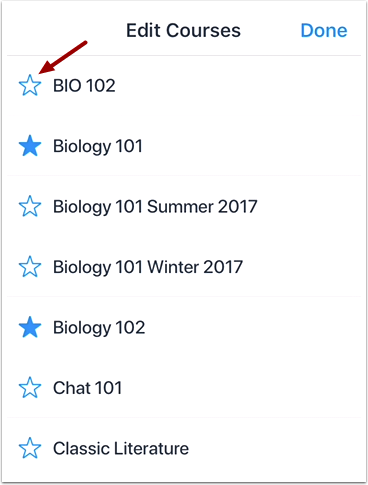 Course colors help associate course items in other areas of the Canvas Student app, such as in the To Do List and Notifications. 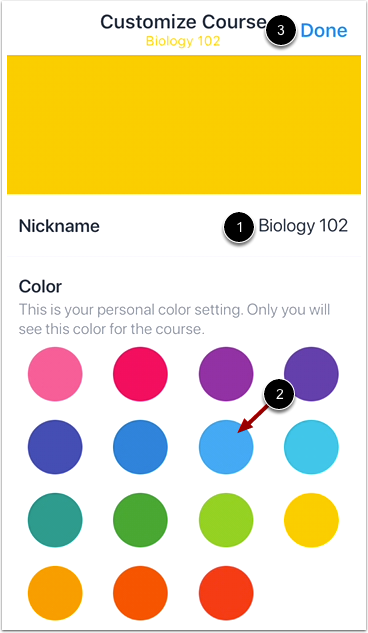 To change the nickname or color for a course, tap the Options icon. To change the course nickname, tap the Nickname field . To change the course color, tap the new color for your course . To save your changes, tap the Done link . 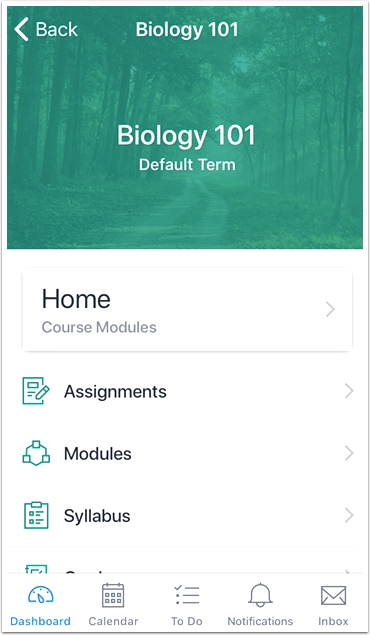 To open a course, tap the course name. Within each course, you will be able to view the course navigation links that are available in the browser version of Canvas. If a course navigation link is hidden in the browser version, you will not be able to access it in the app. 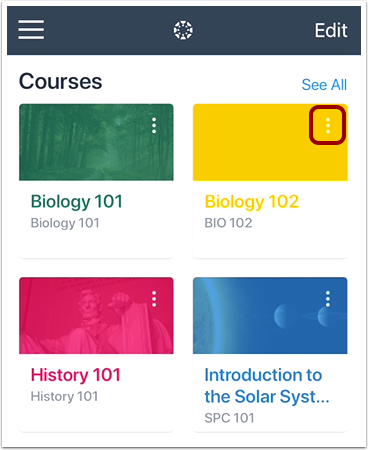 Not all course navigation links are supported in the Canvas Student app. However, all navigation links are supported in a mobile browser. iPad functionality mimics the web version of Canvas, allowing Course Navigation to be expanded or collapsed for full-screen course viewing. To expand or collapse the Course Navigation menu, tap the Expand icon. Previous Topic:How do I add a Canvas widget to my iOS device? Next Topic:How do I view Announcements in the Student app on my iOS device? 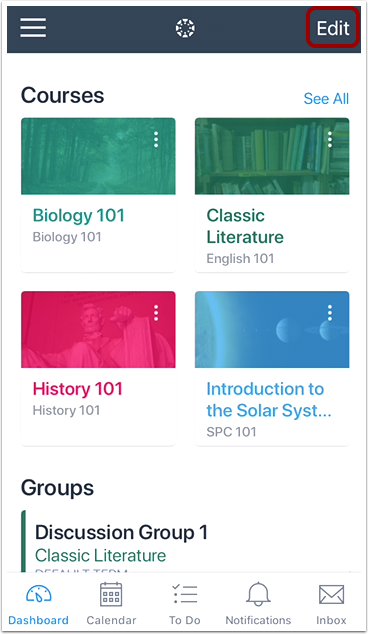 Table of Contents > Course Features > How do I view Courses and Groups in the Student app on my iOS device? Re: One of my university courses is missing from Canvas? Re: What do i do if my class isn't appearing?